Andrew is a Chartered Occupational Psychologist and MBA with particular strengths in leadership assessment and development, coaching, training management, design and delivery, business development and project management. Andrew’s varied experience has given him excellent commercial and people development skills. Andrew has a wide range of experience in people development contexts, most recently as Global Training Manager for Talent Q Ltd, where he designed, supervised, deployed and evaluated a wide range of training and development interventions. Prior to that, Andrew was a consultant at OPP, where he trained organisations across Europe. 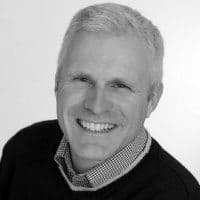 Andrew has experience of coaching at a variety of organisational levels and his practice is informed by psychological theory and a deep understanding of motivation, personality and behavioural change. His coaching is underpinned by his extensive real-world experience of the workplace and its challenges and he is passionate about using coaching to improve employee wellbeing.